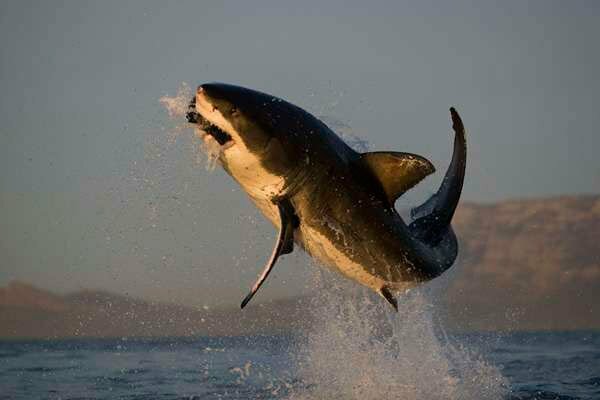 Seal Island is without doubt one of the world’s most popular shark enthusiast’s dream. 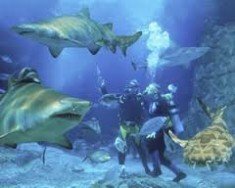 It is the only place where during many days you can have the opportunity to observe various submarine mammals with predatory behaviors. 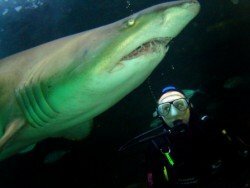 Shark diving at this spot is organised all year round but the best months to go are between February and September with 95% guarantee of seeing the Great white shark. Warmer summer months for visiting are from October to March, chances are at about 80% to come across such a beast. Normally the Shark expedition starts at 7:00 and ends at 12:30. 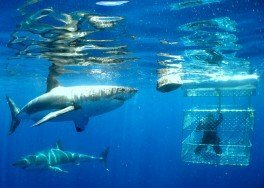 Shark diving is conducted in a cage 1.5 m/5 ft wide and 2.1 m/6.7 ft in height and has ports that allow excellent viewing and photography. Maximum number of persons per dive is 2-3 and you get to stay on between 20-30 minutes. 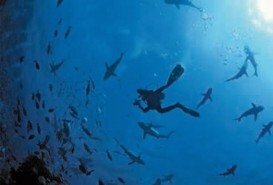 No experience is needed and there is always the crew members who are experienced in shark diving. Snorkel tidal pools or the Tsitsikamma National Park’s underwater trails. Imagine moving across the ocean’s surface and marveling at the scenic underwater world from above. 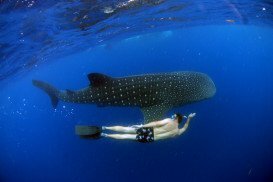 Spot rays on the bed of the ocean, chase fish over the reefs and get away from the world’s rush by experiencing a day under the sea. Exploring this kind of splendor is truly amazing and an ideal adventure for the whole family. This hike takes place within an ancient rock fault within the Jonkershoek valley, and in a relatively short distance it showcases the variety of forms of indigenous flora as well as the geology of the area very well. It is a circular trail, taking you initially through a stand of protea trees, and then winds its way up to a rock strewn slope. 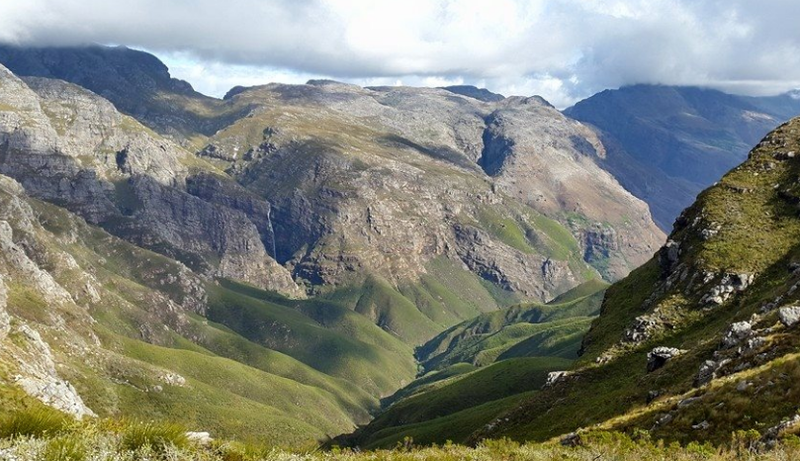 The path then levels off onto a flat contour section, offering lovely views over the Jonkershoek valley. At times, you shall pass through some small pockets of indigenous forest with various tree types that may be well as much as 250 to 300 years old. One of these shady areas will be the ideal spot to stop for lunch. After this section, the zig – zagging descent starts with the impressive cliff face rising up out of the fault line, forming an imposing backdrop to the beautiful scenery. This descent will take you all the way back to our starting point. With such floral variety in the area, there is a good chance to see plants in flower at any time of the year you choose to do this hike. 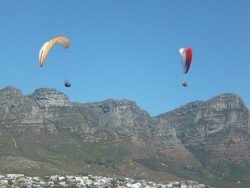 We can however accommodate a group for hikes on Table Mountain and Kirstenbosch Garden as well and we also have a Vineyard Hiking Trail in Devon valley Stellenbosch, including wine tastings along the way. 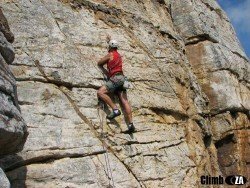 This is a short but adventurous hiking trail, including some climbing and scrambling; however, don’t be deterred if you have limited climbing experience – the tricky sections are optional and there is enough to see without doing those. The trail firstly meanders along the Eerste River and the first waterfall is easily reached. This is a great rest stop, where you can admire the dripping moss banks and old indigenous trees. Soon after, the trail takes a sudden up-turn, curving towards a steep sided gorge. Where the path meets this gorge is where the really fun part starts! The river is now your path, and at times you will be hopping from rock to rock while vertical cliffs hem you in on either side. A few minutes of wandering between lush ferns, trees and moss takes you to the trickiest section of the hike. Here, those who feel that they would rather not try this section can enjoy the scenery around them, while rest of the group does the last short section up to the second waterfall. For those who make it all the way, the second waterfall is quite a sight to behold as its flow feeds the water plants clothing the cliff face that it runs down. 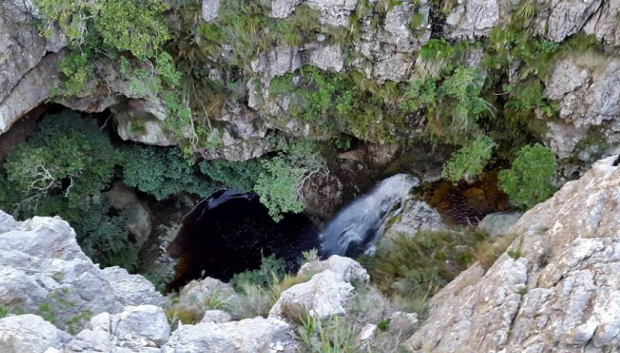 Please note that in high summer the flow of waterfalls may be drastically reduced, however, in late January and February this is one of the few places to witness the flowering of the endangered and very rare Cape Red Disa. This trail is about 17km long, taking the best part of a day, and is recommended only for experienced hikers. It is a fantastic route, showcasing some of the best that the area offers in terms of plant life, scenery and outdoor adventure in general. views for which the trail is named after. Once the opposite side of the valley is reached, the knee jarring descent starts. The section’s name Kurktrekker, says it all – it is the Afrikaans word for cork screw. The path zig-zags down the mountain at an extremely steep gradient, only levelling somewhat near the valley bottom, where it traces the Eerste River to take you back to our starting point. 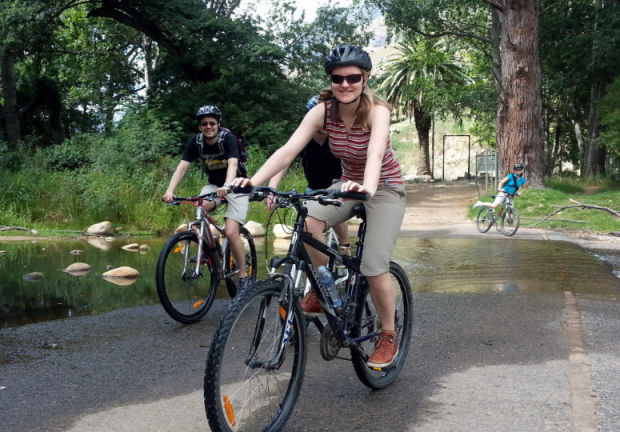 This tour is a private tour and a very unique way to experience the fantastic sights and Vineyards of Stellenbosch and Franschhoek. During the day we will visit 3 to 4 wine estates, depending on your pace and time. With the 4×4 vehicle we shall drive off road up into the vineyards to beautiful vantage points over the Franschhoek, Banghoek and Stellenbosch Valleys respectively. Here you will learn all about the area, vines in the vineyard and also the history of these settlements before going down to the cellars for some tasting. 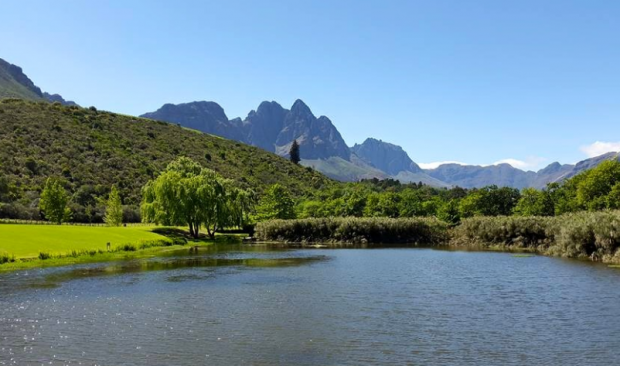 As this is a private tour, you can decide the place to have lunch, in the town of Franschhoek or Stellenbosch, or even on one of the many wine estates in the region. Join us for an unforgettable experience!!! 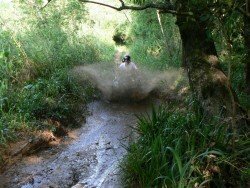 This 2-3 hour adventure is the most popular adventure activity where you can experience the best that Tsitsikamma offers! If you are keen to explore deeper into the Storms River Gorge, and experience the deep, long, quiet pools with ancient forests and deep caves then the kayak and lilo trip is for you! 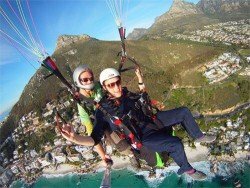 This is a fantastic way to experience most beautiful stretches of coastline in South Africa, combined with an abundance of Fynbos, scenic views of mountain passes and sea. Visit the Stony Point Penguin colony, enjoy a guided walk to a waterfall, view seaside villages and Wineland Towns like Franschhoek and Stellenbosch. 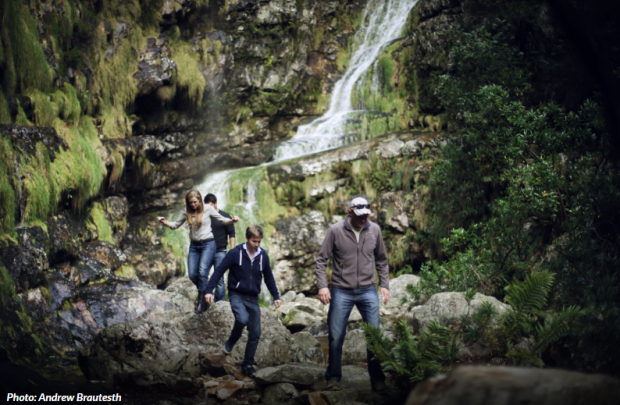 Harold Porter Botanical Garden – A 1 hour guided walk through the garden to DisaKloof Waterfall. Grabouwapple valley via Theewaterskloof Dam up the Franschhoek Pass into Franschhoek. The Tsitsikamma National Park is a marine protected area filled with a great abundance of marine life. No matter what your scuba experience level, newbie or even pro – you can choose between taking a guided dive, by shore-entry or boat, rent all the gear you need or take a half day Discover Scuba Course and learn to dive in one day! Cancun is a beautiful city in southwestern Mexico. It is situated on the northeast coast of the Yucatan Peninsula in the Mexico state of Quintana Roo. Its location on the Caribbean Sea and its natural beauty make this place a worldwide tourist destination. Cancun hosts a tropical climate. La Paz is the capital city of California Baja Sur Mexican state, in the western Mexico. The municipality of La Paz is the forth largest in Mexico, geographically, with a population of 251,871 people. 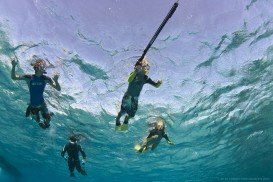 In the Sea of Cortez, the bay has an excellent use, that is not obvious. It acts as a barrier against seasonal storms. Ponta Do Ouro is the southern most village in Mozambique and is a popular holiday destination. It lies on the Mozambique Channel, southern of Maputo and just northern of the border with South Africa. 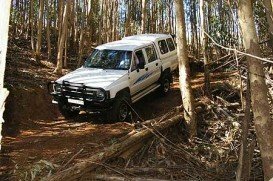 Ponta Do Ouro boasts pristine beaches and is well known for its long stretches of white beaches. There are no tarred roads, therefore it is only accessible by 4x4 vehicles. 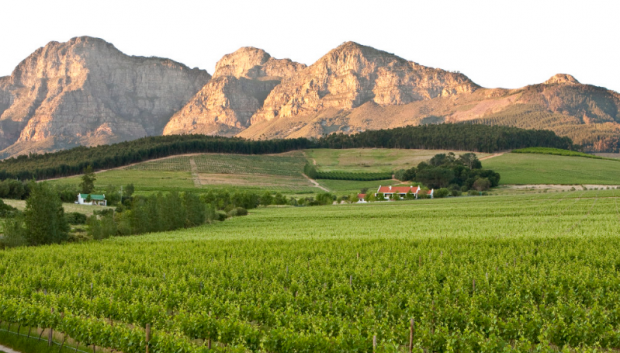 The Overberg is a region of immense beauty and characterized by amazing and diverse landscapes. 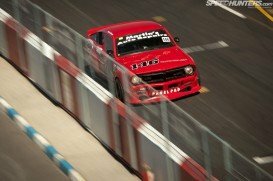 It forms part of the Western Cape as it stretches from the Hottentos-Holland Mountains in the north while in the southern, the Atlantic and Indian Ocean break on to sandy beaches and rocky headlands. The spot enjoys a Mediterranean climate with warm dry summers and cool wet winters.